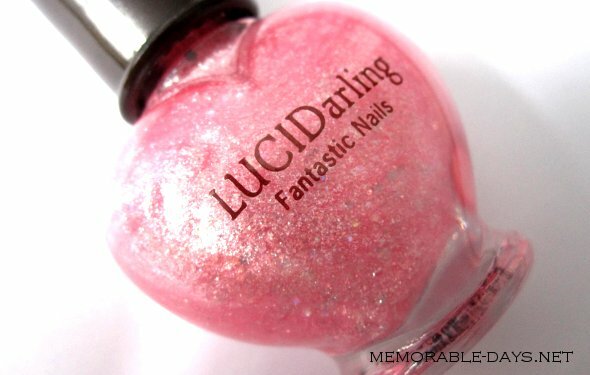 LUCIDarling nail polish - Pink Topaz | Memorable Days : Beauty Blog - Korean Beauty, European, American Product Reviews. 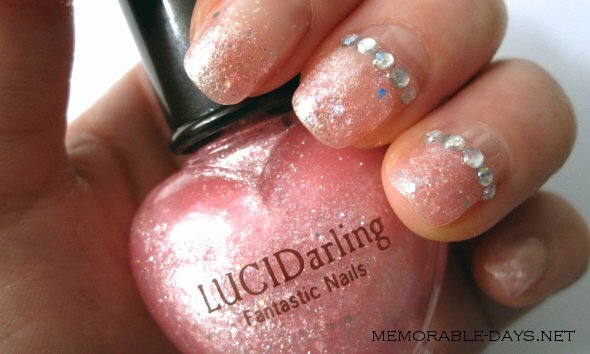 This is a nail polish of Etude house : LUCIDarling Fantastic nails Pink Topaz. 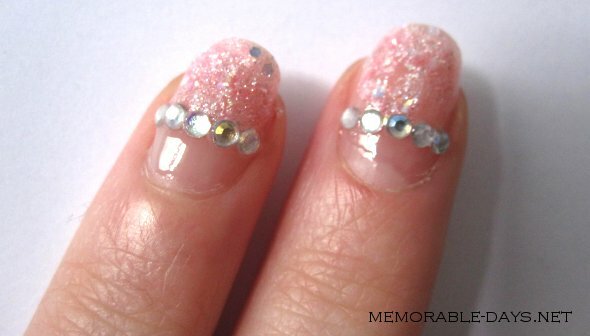 Remember my previous post about the LUCIDarling nail polish - Purple Ruby : http://www.memorable-days.net/2011/02/lucidarling-glitter-gradient-nailart.html. I fell in love with it and wanted to have the pink version as well =p. It has the same packaging as the purple ruby one: heart shape ♥ love it! I thought that it also has stars in it, but there are only small & large glitters in it, no stars =( such a pity. I bought it for $4.85 on Ebay with free shipping from seller RubyRubyShop. I got it within 10 days, quite fast since she's shipping it from Korea. It's a trustworthy seller. I actually know this shop from Bubzbeauty xD, she mentioned & recommended it before in one of her videos. This time I used the rhinestones which I got for free the other day. I used 5 rhinestones per finger. It probably would be prettier if you put rhinestones on every nail, but I only did it on two nails since I need to work today. It's not allowed to put nail polish on my nails where I work, so I need to remove it afterwards =(.